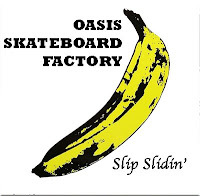 Slip Slidin' into Summer... See you in September! 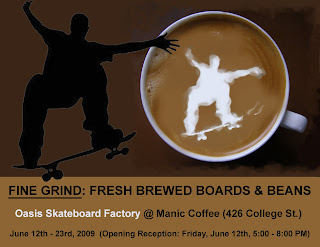 Enjoying a Manic Coffee at the "Fine Grind" Opening! Matt of Manic Coffee will be flying to Vancouver, B.C. with this skateboard, where it will be displayed at the Granville Island Market.